James J. 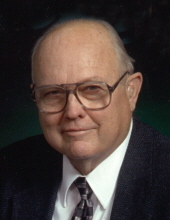 “Jim” Kremer, 85, of Waterloo, died Wednesday, January 30, at the Cedar Valley Hospice Home. He was born October 15, 1933 in Barclay Township, son of John W. and Susan Kremer. He married Betty Colette Steward on October 6, 1954 in Waterloo. Jim joined the U. S. Navy Reserve in 1952. He was called to active duty in 1953 and was released in 1955. He remained in the Naval Reserve, retiring in 1985. He was employed with John Deere Waterloo Tractor Works for 20 years, retiring in 1995. He also taught electrical apprenticeship at Hawkeye Community College. Survivors include: his wife; his children, Catherine “Cathy” (Scott) Garrett of Cedar Falls, Margaret “Peggy” (Greg) Gall of Kansas City, Missouri, Cynthia “Cindy” (Michael) Snell of Waterloo, Diana (Michael) Jones of Midland, Texas, Therese (Paul) Wielage of Clive, Don (Mary) Kremer of Raymond, Jane (Patrick) Rogers of Des Moines, and Chris (Carol) Kremer of Waterloo; 20 grandchildren and 11 great grandchildren and one on the way; and two brothers, Paul Kremer of Jesup and Rev. John Kremer of Delhi. Preceded in death by: a brother, Cletus Kremer; and two sisters, Mary Schubert and Alice Hennessy. Services will be 11:00 a.m. Friday, Feb. 8, at Sacred Heart Catholic Church with burial in Mt. Olivet Cemetery, where full military rites will be conducted by Evansdale Amvets Post 31, Waterloo Amvets Post 19 and the U. S. Navy Honor Guard. Visitation will be from 4 to 8 p.m. Thursday, Feb. 7, at Hagarty-Waychoff-Grarup Funeral Service on South Street, where there will be a 3rd. and 4th. Degree Knights of Columbus rosary at 5 p.m. and a 7:30 p.m. vigil service. Visitation will continue at the church for an hour before services on Friday. Memorials may be directed to Sacred Heart Catholic Church or Cedar Valley Hospice. Jim was a life member of the International Brotherhood of Electrical Workers local 288, Waterloo Amvets Post 19, serving on the funeral honor guard, and the Veteran of Foreign Wars Post 1623. He was a 4th degree Knight of Columbus and a member of the American Red Cross, serving on the Disaster Assistance Team. To send flowers or a remembrance gift to the family of James "Jim" Kremer, please visit our Tribute Store. "Email Address" would like to share the life celebration of James "Jim" Kremer. Click on the "link" to go to share a favorite memory or leave a condolence message for the family.